Sharp, sleek footwear with light-catching embellishments paraded down Alexander Wang's Fall '18 runway, including these 'Marlow' pumps. 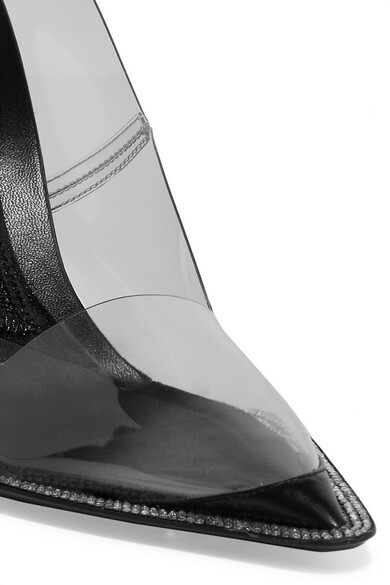 Made from clear PVC and leather, they're dusted with glistening crystals that frame the leg-lengthening pointed toe. 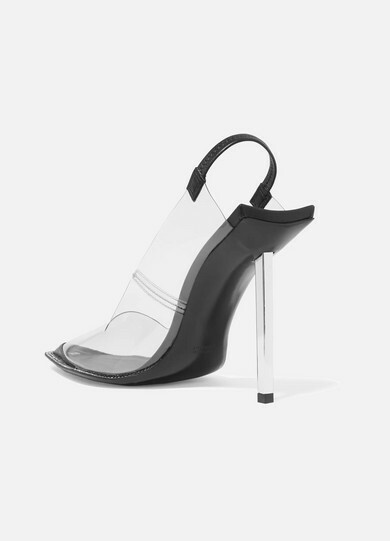 Make sure to wear yours with a fresh pedicure and cropped jeans to really show them off. 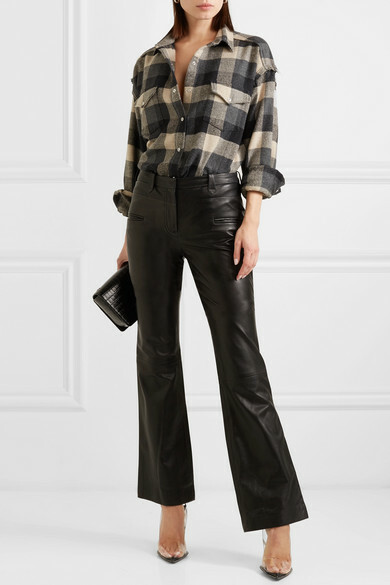 Shown here with: IRO Shirt, Altuzarra Pants, Alexander Wang Shoulder bag, Sophie Buhai Earrings.